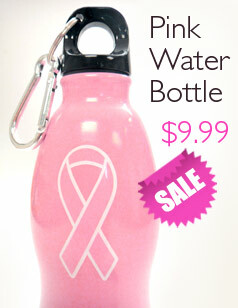 Pink Works - Great Breast Cancer & Pink Ribbon awareness products! Welcome to the Think Pink Ribbon's "Share your story" notepad! Here, you have the power to inspire others through your own story. We'd love to hear your personal stories and share them with our community. You are one step away from inspiring others. Just fill out the pink notepad and send us your story. It will be posted on our blog once it has been approved for posting. Visit our shop and find the products for Breast Cancer Awareness and exclusive line of "I Fight Like A Girl", "Think Pink", & "Keep Calm & Think Pink" brand t-shirts and products. I understand that my story and photos maybe used by TPR on its website. I give the permission to publish my story (including photographs), waive any right, title, and interest I may have in the photo and story and agree to their use on website, social networks, oneline marketing, and other communication channels. I also understand that the TPR may, without affecting the substance of my story, correct gramatical errors/mistakes. Like us on Facebook, Tweet and Google+!